In 2015, I lost 53 pounds and since then it’s been a struggle to keep the weight off. I haven’t been entirely successful. I’ve gained back about 20 of those pounds and now I’m trying to lose at least 10 of those but it’s going to take a slightly different plan of attack to lose the weight the second time around. Actually, this would be the third. I had lost a good 20 pounds a couple years before I lost the 50-something but gained that all back and then some. 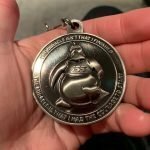 So, yep, I’ve been on the same journey that a lot of other people have been. I’ve discovered that losing weight the first time or maybe the second time is fairly easy but it certainly doesn’t get any easier thereafter for a few important reasons. One, I’m getting older by the minute. As an official middle-aged woman I’m fighting an uphill battle to be the weight I was when I was 22. I’ve pretty much abandoned that quest because it’s not going to happen. We lose muscle mass as we age, metabolisms tend to slow down, hormones aren’t at the same levels and women naturally gain more fat as they age. Men don’t fare much better. Another reason is that after losing a significant amount of weight our bodies fight like crazy to gain it all back. We can thank human evolution for this. When food was scarce for our ancestors which it often was, the human body became very efficient at holding onto as many calories as possible for survival. The human body is also very efficient at doing physical work. Just think how long you have to work out to burn off just a couple hundred calories that we can quickly replace or exceed with one cookie. And after significant weight loss, hormones kick in and increase hunger. Over time, we also burn less calories doing the same intensity workouts as we become more fit and thin. So a workout that used to burn 200 calories, might only be burning 150 calories as you become more fit. Yeah, it all adds up to keeping weight off is hard, really, really hard-d-d-d and it isn’t necessarily our fault. So what are we supposed to do? Are we supposed to throw in the towel and learn to love our overweight bodies? I hope not because I don’t like my overweight body. On the bright side however, my health as far as I know is good. 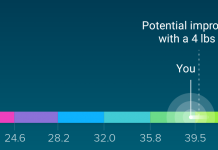 My resting heart rate and blood pressure are great for my age – for any age really. Even though I’m not as skinny as a rail, I’m still fit but I’m determined to lose 10 pounds to get to a more desirable body image and stop the weight from continuing to increase to a point I’d really be very unhappy with. My initial goal weight of 125 is probably impractical at this point of my life. Once I got very near that weight a few years ago, that’s when my hunger went off the charts. I felt like I needed to eat the walls, the floor, and constantly. Before then, I never had a problem with hunger. My weight gain was due to being careless and ignorant about calories. Before I started counting calories and learning about what my body really needed, I was overeating without realizing it. I was gaining weight without realizing it. It wasn’t until I saw a picture of myself that I realized just how overweight I had become but it wasn’t due to hunger that I couldn’t control. Now it is. I’m mindful of what I eat and I workout nearly every day but I’m so freaking hungry and many days I overeat because of it. It’s hard to fight nature and win. But there are some things that I can do to help my cause. One of them is to not fight the hunger. If I’m hungry, I need to eat but I need to eat the right things. I’ve learned to not keep high calorie temptations in the house because I can’t resist them. So that means no chips, cookies, soda pop, or any of my other irresistible temptations in my kitchen. 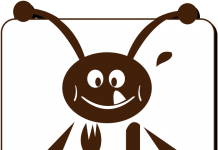 Furthermore, eating foods high in sugar and fat only increases hunger for such types of food. The last thing I need to do is increase my hunger beyond what my body already has after losing so much weight. Another important tactic that works well for me is having an eating schedule. A big problem for me is that my day begins early. I usually wake up around 4 am. That means I’m awake from that time until about 10 pm. That’s a LONG time to be awake. Not getting enough sleep also causes weight gain but that’s another story. Because my day starts so early, I’m hungry for lunch by 9 am because I’ve already been awake forever. So, now I don’t eat when I first get up. I wait until 6am to have breakfast. Then I have a snack around 9 am, eat lunch at 11 am, have another snack at 1 pm and eat dinner between 4-5pm. Luckily, I’m not a big nighttime eater. I know a lot of people struggle with this but if I get hungry in the evening, I’ll have a light snack such as fruit before I go to bed. So, planning a schedule for eating is helpful and I’m seeing good results from it. The other side to that is planning what I’m going to eat for breakfast, snacks, and dinner. I have calorie goals that I try to stay within and then have foods and meals that fit those requirements. For breakfast I try to stay within 200-300 calories. My snacks are less than 200 calories. Lunch is between 250-350 calories and dinner around 450-600. So I’m certainly not starving myself. I also exercise every day. This burns off between 200-300 calories. Just be aware that exercise increases hunger too which makes losing weight the second time around especially difficult since your hunger hormones are already high. I lose weight much more quickly by diet alone. I’ve discovered that exercise is good for maintaining my weight, not necessarily losing it. Diet is much more important for weight loss. That doesn’t mean you shouldn’t exercise though. Being fit and emotionally healthy is more important than being skinny. Exercise does wonders for both your physical and mental health. 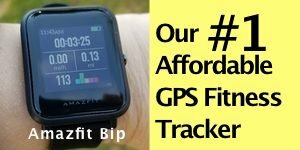 If you’ve visited this site before you know that I review fitness trackers. My interest in them stems from my initial weight loss journey because they helped me immensely. They also motivate me to continue to work out everyday. I don’t think I would without them. You don’t need to spend tons of money to get a good fitness tracker. I’d recommend getting something that’s going to grow with your fitness level though. 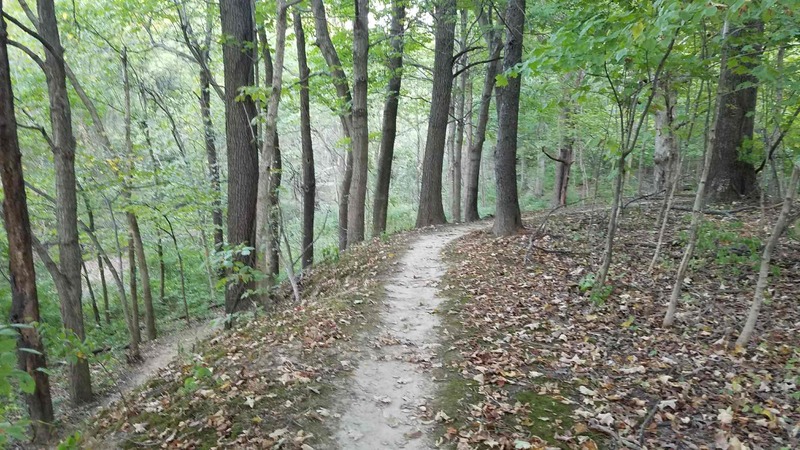 You want something beyond just a pedometer. Fitbit has several trackers that many people swear by. I like the Fitbit Blaze. I think I would choose it over the newer Ionic because it’s $100 cheaper and does essentially the same things, unless you want music storage and swim tracking. 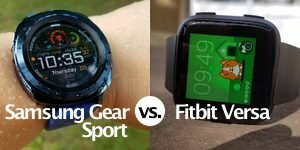 For Android users, I’d suggest the Samsung Gear Sport or Gear Fit 2 Pro. I’ve used both extensively and they are very good at tracking your workouts and pairing with your phone. 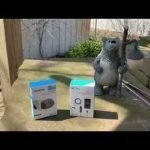 Both have some nice smartwatch features as well. For you iPhone folks, I’d suggest the Apple Watch. 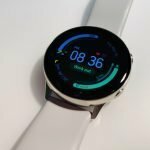 Not only does it have good fitness features, it’s also a very good smartwatch that you’ll probably have a lot of fun with. For both Android and iPhone users I’d recommend a Garmin or Suunto device. They work well on both platforms. Garmin has a wide variety of watches from very affordable to fairly pricey. 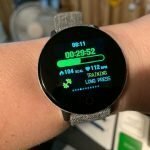 If you’re just starting out, I’d recommend the Vivoactive or the Forerunner 35. 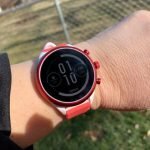 The Vivoactive is more of a multi-sport watch while the Forerunner is geared more for running and walking but it’s an attractive, affordable, and easy to use watch. When you get more serious about your fitness or you enjoy hiking and a lot of outdoor activities, I’d recommend the Fenix. It’s expensive but it does everything as far as fitness tracking goes. An alternative to the Fenix is Suunto’s lineup. Some of them are pricey as well but the Spartan Trainer Wrist HR is half the price of a Fenix and does hiking very well, if that’s your thing. All of these fitness trackers are listed below if you want to check them out on Amazon. 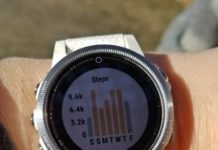 If you can’t afford or don’t want to purchase a fitness tracker at this point there are free apps that can track your steps and workouts on your smartphone. If you pair them with an affordable chest heart rate monitor you’ll be able to track nearly any type of workout. Not all the apps have this ability but some do. I’ll be doing a write-up on them soon but I particularly like MapMyHike and MapMyFitness which are essentially the same thing. I don’t think there’s anything more important to do when trying to lose weight or maintain your weight than to log your calories. MyFitnessPal has been the most important tool for me to both lose weight and maintain it. It may seem like a chore to log your food at first but it becomes second nature pretty quickly and most of us eat the same foods and meals every week so it’s not like you have to look up every cotton picking thing you eat over and over again. Once you’ve logged it, it will be there to select again without having to search for it. MyFitnessPal also syncs to many of the fitness trackers I wrote about above and have listed below. Using both together can be very motivating to stay on track. So with all of that said, I’m going to be writing about my progress as I put all of my suggestions into use. If I stick with them, I should be able to get to my goal weight and if nothing else, stop the weight gain. I’ll also be sharing other helpful information that I learn from elsewhere. If I come across some great recipes I’ll share them too along my journey.